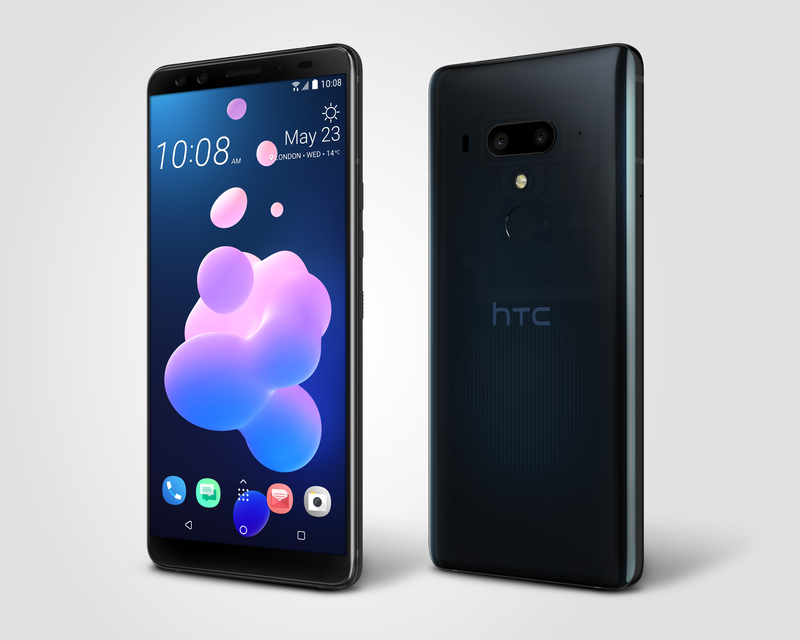 HTC may not be the force it once was in the Android smartphone market, particularly after selling off a chunk of its hardware unit to Google, but it's still capable of producing a compelling phone. Last year, the Taiwanese OEM returned to form somewhat with the U11, before following it up with a plus model that better aligned with some 2017 smartphone trends. The U11+ bumped the display up to an 18:9 (6" instead of 5.5") panel, moved the fingerprint sensor to the rear, and shaved off some bezel all around. You'd be forgiven for expecting to see both a U12 and U12+ launch this year, but you'd be wrong. HTC is skipping the non-plus variant altogether, focussing only on the one high-end device (which had already been leaked here and there). It would appear to be a rather incremental update to last year's phone, albeit with some important distinctions that give it at least some chance against other current flagships. At first glance, it looks a lot like its predecessor. The "liquid surface" effect returns on the back glass, in either Ceramic Black or Flame Red, and there's once again an eye-catching translucent version. HTC promises it will be easier to buy than its last see-through phone, which was far too hard to get hold of outside Asia. One of the main changes to this year's model is the addition of two extra cameras. Dual rear cameras are practically the norm for flagship phones right now, so it's not surprising to see HTC jump on the bandwagon. Perhaps its real-time bokeh mode and lossless digital zoom (2x) can set it apart. Having two on the front is a bolder move, though, which could prove wise if it allows people to take amazing portrait selfies — there are plenty out there for whom that would be a good selling point. We may not especially care about such awards, but the U12+ goes straight in at second on the DxOMark leaderboard with a score of 103 — only the Huawei P20 Pro, with its triple cameras, beats it. The 6-inch QHD+ (2880 x 1440) Super LCD display returns and the latest top-tier Snapdragon 845 chip is on board. There appears to be just one memory/storage configuration for Europe this time around, with 6GB of RAM and 64GB of storage, although the US will also get a 128GB version. Sound was something the U11+ did very well, and the U12+ offers all of the same audio specs — such as BoomSound, and 3D Audio — along with the USonic active noise canceling USB-C headphones once more. They'll come in handy, too, as this phone doesn't have a headphone jack (again) and there's no dongle included. The Google Assistant is naturally supported, but you can also use Alexa on the U12+ if you so wish. Perhaps one of the most divisive smartphone features in recent memory is back and improved. Edge Sense 2 comes with even more ways to interact with either side of the phone, on top of the squeeze function that was borrowed by Google's Pixels. You can now double-tap one side to make the screen shrink for easier access or hold it to stop the device from rotating or dimming. They may sound underwhelming, but these input methods are fully customizable and you can set them up to work with almost any app. Other miscellaneous items include an IP68 rating, pressure-sensitive power and volume buttons with fake feedback (not unlike ForceTouch), and face unlock. The battery is smaller than that on the U11+, at 3,500mAh, but it does offer Quick Charge 3.0 for up to 50% power in 35 mins. Although it ships with Android 8.0, the groundwork has been laid for P. Project Treble and seamless update support should speed up the process. The HTC U12+ will be available to pre-order from today in certain colors and in certain regions. In the UK and Europe, it'll cost £699 and €799, respectively, for the 64GB model. In the US, you'll pay $799 USD for the 64GB (Black or Blue) and $849 USD for the 128GB variant (Blue only). Financing will be available through HTC directly. In Canada, Translucent Blue will set you back $1,099 CAD (64GB) or $1,169 CAD (128GB), and Ceramic Black will be $1,099 CAD (64GB). Availability for the Flame Red will be announced in due course. To pre-order, head to HTC's website or Amazon. To find out more about the U12+ and what we make of it, check out Stephen's hands-on post. 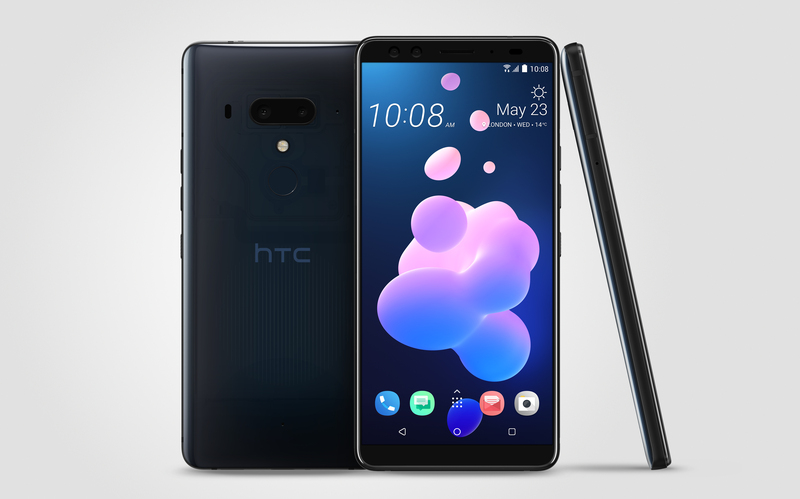 LONDON – May 23, 2018 – 09.00 BST – In its latest showcase of cutting-edge innovation, unrivaled usability, and extraordinary design, HTC today unveiled the HTC U12+. 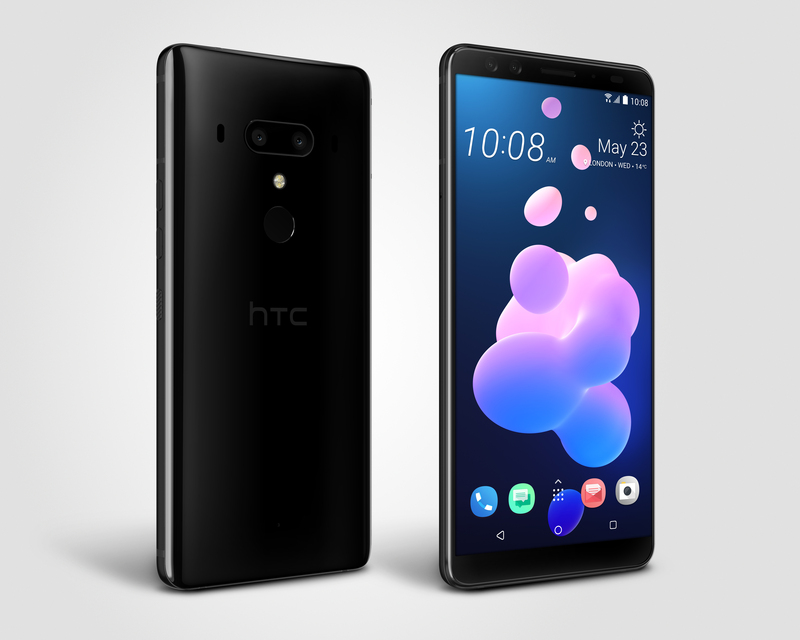 The U12+ is HTC’s biggest and boldest flagship phone ever, including a vivid 6” display with cinematic 18:9 widescreen, yet it is also easier to use with Edge Sense 2 for intuitive one-handed interaction for snapping photos, calling up voice assistants, or virtually anything you may want to do. There is simply no other phone as big, beautiful, and easy to use as the HTC U12+. The highest-rated dual camera: Two cameras on the front and back deliver beautifully artistic photos with DSLR-like bokeh. UltraSpeed Autofocus 2 includes full sensor phase detection autofocus and new laser autofocus to ensure you never miss your shot, while HDR Boost 2 lets you take fantastic photos in any lighting condition. The main camera’s 2x optical zoom and 10x digital zoom for photos means you are always ready for a close-up, while video with Sonic Zoomlets you “zoom in” on a sound or voice so you are truly the director of the scene. And with one-touch auto zoom, it’s almost like you have Hollywood in your pocket. It’s so good, the U12+ received a DxOMark score of 103 – the highest rated camera in the industry for a dual camera smartphone. Power and performance: Equipped with the Qualcomm® Snapdragon™ 845 Mobile Platform with X20 LTE that will extend the way people see, hear, and interact with the world around them. It is engineered to shatter performance expectations and connect you at beyond Gigabit LTE download speeds without unnecessarily compromising battery life. With 6GB RAM standard and up to 64GB storage, the U12+ shatters expectations of the power and performance you can expect from your phone. The U12+ is also VR ready for the Vive Focus (where available) with phone call and notification sync, plus mirror mode to turn your smartphone into your own personal VR theater. The HTC U12+ will be available in Translucent Blue, Ceramic Black, and Flame Red. For more information, please see the following pages or visit htc.com. Pre-orders are available from HTC.com and HTC Club members can get 10% off. Further availability to be confirmed in due course. Freedom to use either hand. 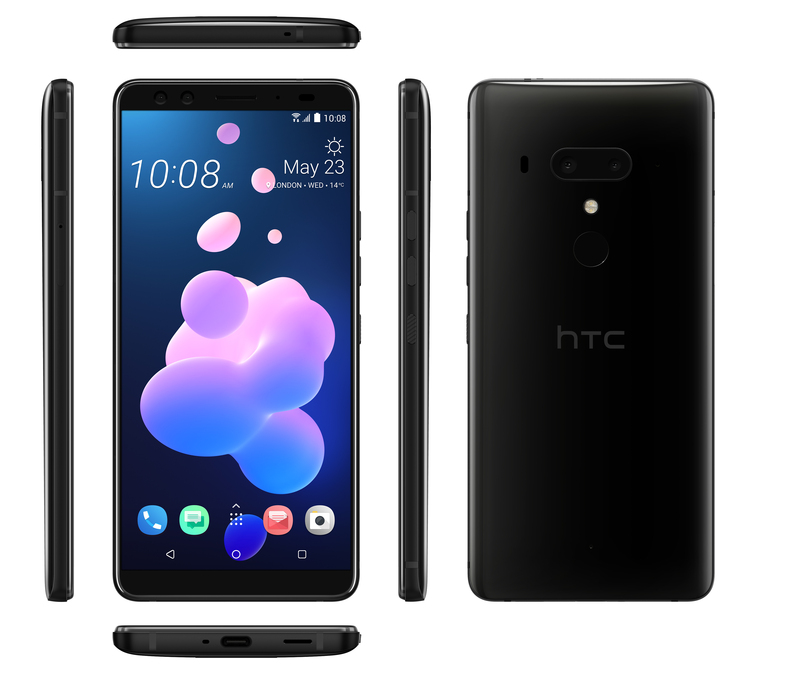 The HTC U12+ redefines how you interact with your phone with a new touch feedback experience. The next generation of Edge Sense knows which hand you are using, giving you true one-handed freedom for either hand. Now, in addition to squeeze, we’ve introduced double tap and hold. Do things faster and with even more one-handed convenience. DOUBLE TAP for an adjustable mini screen that puts everything in thumb’s reach. Set as a back key or as a new navigation bar that lets you enjoy the 18:9 screen with ease. HOLD can keep the screen the way you want it even when lying down -- no more annoying and unnecessary screen rotations or dimming. SQUEEZE your phone to take photos, launch voice assistants and bring up Edge Launcher, a customizable way to quickly access your favorite apps, contacts and quick settings. AND MORE: Edge Sense also works in almost any app in the Google Play Store. Call up Amazon Alexa or Google Assistant2, squeeze to open your favorite social app, use Accessibility Talk Back, and so much more. DSLR-LIKE BOKEH offers our most natural, artistic and captivating soft background effect yet – whether you’re using the main camera or taking a selfie. ULTRASPEED AUTOFOCUS 2 with laser autofocus lets you enjoy unprecedented levels of detail and clarity in the main camera under just about any condition — even when your subject is on the move. HDR BOOST 2 delivers smoother, crisper, more detailed photos with less noise and better dynamic range when the lights are down or glaring. AR STICKERS let you spice up your photos and videos by adding funny effects and playful AR stickers in real-time. Hollywood in your pocket. Shoot beautifully vivid and captivating movies no matter your level. SONIC ZOOM lets you zoom in on a particular sound or voice in the scene. This improved version is nearly 60% louder and offers 33% more focused sound than available in U11.4 Audio Boost amplifies all the voices and sounds to the max without zooming in the video. Record immersive 3D audio. True-to-life audio will make your videos stand apart from others. ONE-TOUCH AUTO ZOOM lets you zoom smoothly on the scene, the lighting and sound for the best video production just like on a movie set. It’s unlike anything else on the market. Best and brightest sound. Inside and out. The HTC U12+ delivers sound unlike anything you’ve ever heard before whether on HTC USonic earbuds or the HTC BoomSound Hi-Fi edition speaker system. Qualcomm ® aptX™ audio technology is designed to support 24-bit Bluetooth wireless audio, helping to ensure you get the very most from your music. HTC BOOOMSOUND will blow you away with our loudest, clearest and best speakers to date. The separated woofer and tweeter design delivers unheard of power and clarity. USONIC EARBUDS WITH ACTIVE NOISE CANCELLATION automatically and continuously monitor environmental sound levels and quickly adjust to compensate for new noises or disturbances. Once again pushing the limits of design. The HTC U12+ design showcases an even more artistic representation of Liquid Surface featuring vibrant colors are unlike anything you’ve ever seen. LIQUID SURFACE represents a total rethink of what’s possible to achieve in design. Edge Sense 2, with new pressure-sensitive buttons and a new touch feedback experience, brings the edges to life. Add in new finishes and beautiful color selection, and U12+ delivers the most dynamic look and feel we’ve ever crafted. 18:9 DISPLAY WITH ULTRA-THIN BORDERS and new 3D glass edges are distinctively beautiful yet more comfortable to hold and view so you can focus on what you love instead of what you don’t. The TRANSLUCENT BLUE color lets you admire your phone’s beauty both inside and out. The delicate color gradient with a translucent material gives you an intimate glimpse into the craftsmanship of this device. Commanding performance. The HTC U12+ delivers industry-leading performance in every way. QUALCOMM® SNAPDRAGON™ 845 MOBILE PLATFORM is engineered to support lightning-fast LTE speeds, stunning camera experiences, and cutting-edge performance. Powering your favorite experiences, the Snapdragon 845 will extend the way you see, hear, and interact with the world around you. IP68 water resistance means you can use your phone even when there’s rain or dust.6 It’s worry-free protection whenever the weather takes a turn for the worse. BLAZING PERFORMANCE with 6GB of RAM standard, 64GB of storage, and full 4G/LTE support where available, including new dual LTE at the same time on dual SIM models. DCI-P3 ULTRA WIDE COLOR GAMUT ensures images and colors are rich and accurate. And HDR 10 support for YouTube videos means vibrant imagery will keep you captivated. Based on DxOMark ratings as of May 2018:dxomark.com/Mobiles. Qualcomm Snapdragon and Qualcomm aptX are products of Qualcomm Technologies, Inc. and/or its subsidiaries. Qualcomm and Snapdragon are trademarks of Qualcomm Incorporated, registered in the United States and other countries. aptX is a trademark of Qualcomm Technologies International, Ltd., registered in the United States and other countries. Used with permission.